Allen Farst, acclaimed director, filmmaker and producer is currently working on a documentary about Chuck. 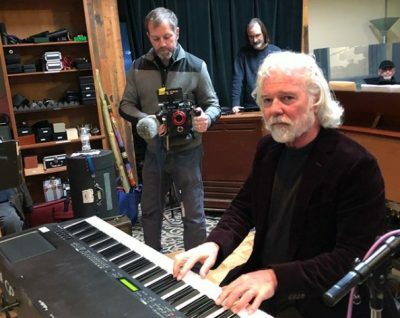 The film will feature President Jimmy Carter, John Mayer, David Gilmour, Eric Clapton, Bruce Hornsby, Warren Haynes, The Stones and other notable musicians and dignitaries. Allen is considering including a few video testimonials from Chuck’s fans. If you have something cool and interesting to say about how Chuck or irocku has influenced your life, or your piano playing, please contact us at documentary@irocku.com. No guarantees you’ll make it into the documentary but it’s worth a shot.